WhatsApp supports desktop notifications in Google Chrome so you can read your messages even if the web app is open in some background tab. The other benefit is that you can send pictures from your desktop or the DSLR SD card without having to transfer the bulky file to your mobile. There’s no support for sending audio or video files though. The other limitation is that your mobile phone should be connected to the Internet for you to use it on the web. To get started, drag the bookmarklet to the toolbar of your Google Chrome. Next open web.whatsapp.com on your computer, wait for the website to load and then click the bookmarklet in the toolbar. You can either choose to have a CSV list of your WhatsApp contacts or create a print-ready addressbook of your WhatsApp network. 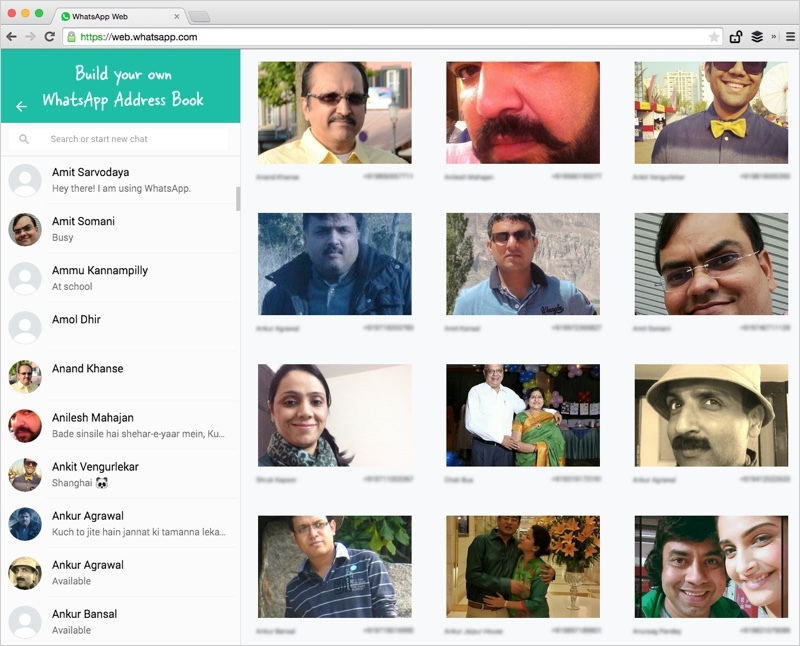 This will have the high-res profiles pictures, the names and the telephone numbers of all your contacts. WhatsApp was founded by two guys who spent combined 20 years doing geeky stuff at Yahoo! Inc. before starting WhatsApp Inc.
How do I use WhatsApp Calling?